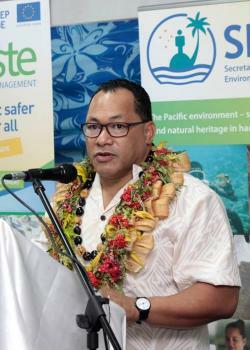 Fiji and the Pacific region now have sufficient experts in the area of waste pollution and management. Secretariat of the Pacific Regional Environment Programme (SPREP) director-general Kosi Latu said this meant the region did not have to request and wait for technical experts from abroad. “We have seen the ability of our own people in the region to come up with innovative solutions on ways we can address how we manage our waste in each particular country,” Latu said. “For a long time we used to depend on outside experts to come and design and develop landfill systems for us, but now we have developed enough human capacity and that is a good sign. Latu said the first Clean Pacific Roundtable held in Suva this week gave the opportunity for representatives from different Pacific Island countries to share their ideas and strategies. Waste management is all the activities and actions required to manage waste from its inception to its final disposal. This includes collection, transport, treatment and disposal of waste together with monitoring and regulations.